Reason for gas prices to hike ?? 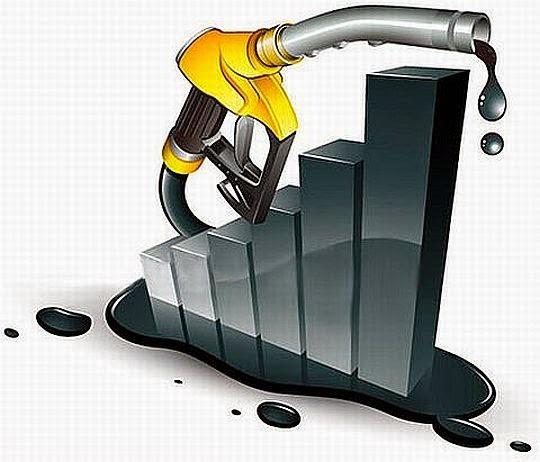 The gas market fluctuates frequently, as any driver knows. The reasons for these fluctuations are complex, as they involve everything from high demand during the holidays to the need for cleaner burning (and more expensive) summer-grade fuel, mandated by regulation. Natural disasters, adverse weather and conflicts such as war in an oil-producing region can also bring up the price of gasoline. Also affecting price is the fact that supply and demand can be manipulated by an entity such as OPEC (the Organization of Petroleum Exporting Countries) whenever it feels the need to tighten world supply. To do this, OPEC will simply slow down its production levels to help maintain the global crude oil price they want. Naturally, of course, when the crude oil market, especially the large chunk of it controlled by OPEC, chokes off its output, the price will rise at the pump not too long thereafter. It's not surprising to realize that summer can also have quite an impact on gas prices, and several factors contribute to higher prices during that season. One reason is simply that the demand for gas is greater, so gas companies can charge more. Many people take vacation during summer months, which creates the high demand. Another reason is that the summer months are part of the hurricane season. Hurricanes may disrupt the gasoline supply line for short periods of time, as offshore drilling rigs can become damaged by the storms or at the least may need to be evacuated during such times. Also, gas companies often close down their refineries for maintenance during the summer, leading to lower gas production. Finally, part of the 1990 Clean Air Act Amendments mandates that the grade of fuel sold during the summer must have additives to reduce smog and pollution. This gas is more expensive than winter-grade fuel. Regardless of season, though, gas prices rarely sit still for very long. And, unfortunately, they seem to go up more than they go down.